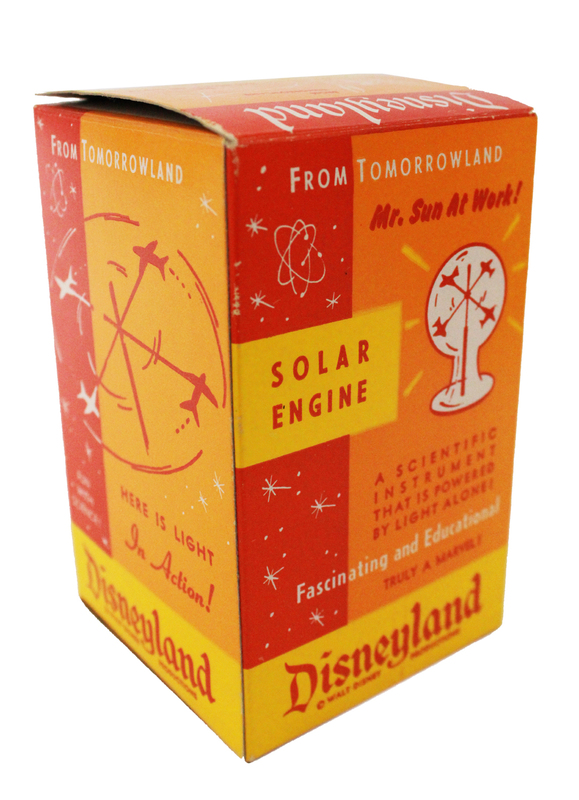 This is the orange version of the vintage Disneyland solar engine toy, Mr. Sun at Work. 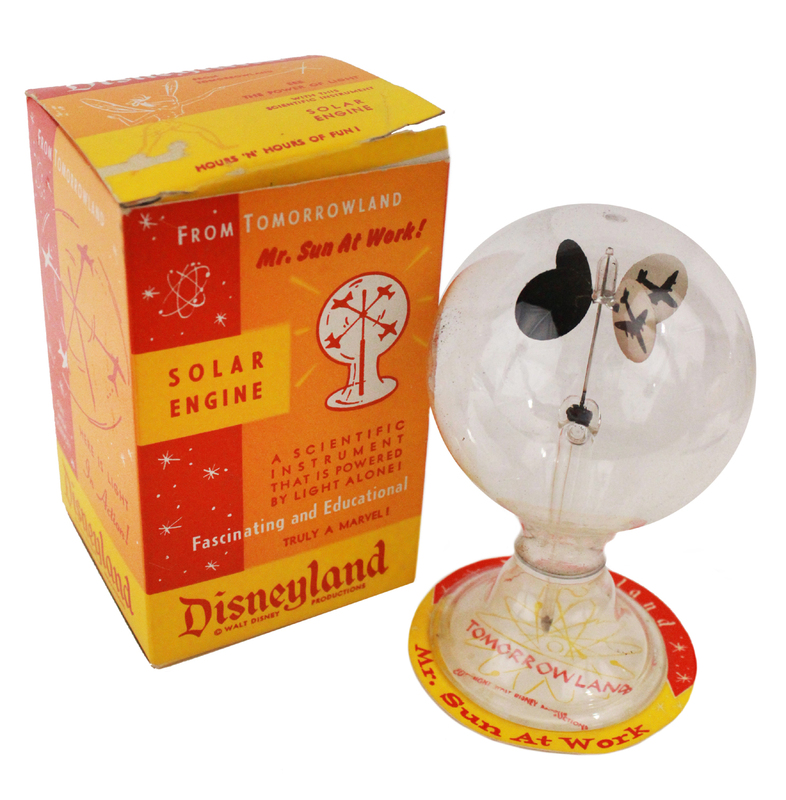 These toys were sold in Tomorrowland in the early years of the park, dating back to their manufacturing in 1955. 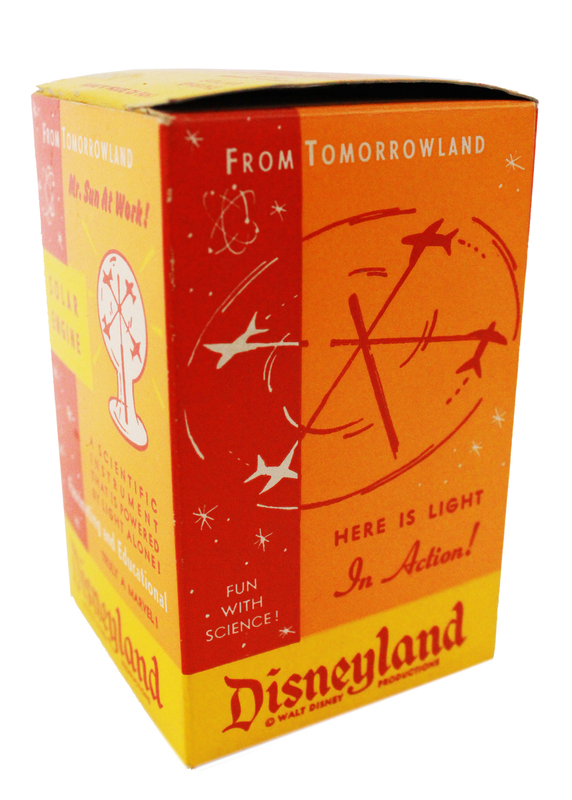 This toy comes in its original box that measures 3" x 3" x 5".